I receive a commission from the companies whose products I promote in the blog posts. Not all of them but yes a majority of it. Every time you see a cloaked link that is like “bforbloggers.com/recommends/something”, that means it’s an affiliate link. I will get a commission if you purchase anything going through that link, at no extra cost to you. All opinions expressed by authors are individual opinions and may not express the opinion of BforBloggers as a whole. 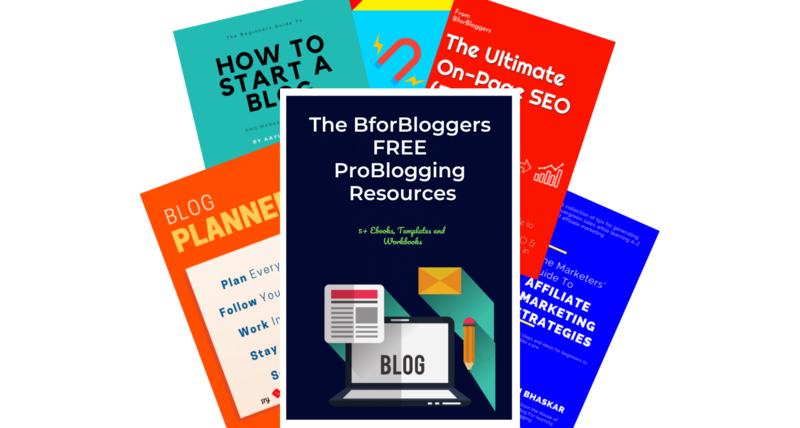 I want to tell you that Here at BforBloggers you will never see a single product or service which I don’t trust or are Sponsored to give a biased and fake review. I didn’t invent EACH and EVERY ideas or strategy I write about. Some come from my experience, others from observation and reading. I simply spell them out in my blog posts. Anything I’ve been able to accomplish today has been a direct result of what others have taught me, supported me through, and even challenged me to do. I think originality is highly overrated. You can always tell the pioneers because they’re the ones laying in the sand with arrows in their backs! Being an Indian, I don’t have to comply to FTC so I don’t really need to create this page. However, I feel transparency is something we humans need to build into ourselves.